Ralph McQuarrie Star Wars Celebration 5 (2010). 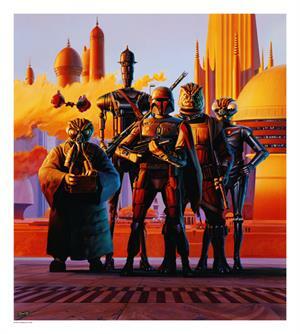 Artist Exclusive BOUNTY HUNTERS. These are unsigned (Artist Proofs A/P) measures 22 x 24.5, rolled. 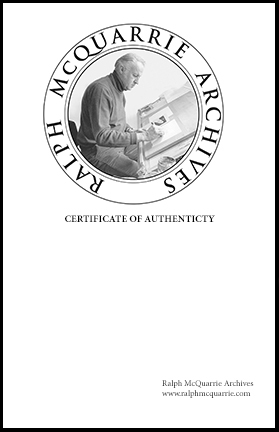 Comes with our certificate from RMQ Archives.